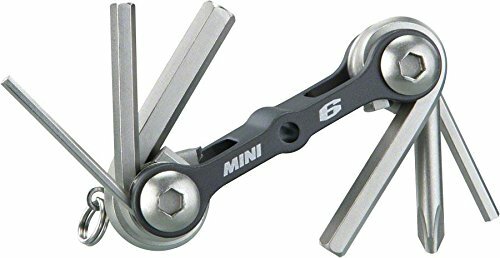 Mini series ultra-light folding tool. Increased tool length adds working leverage while its 6 tools fold into an anodized, extruded one-piece alloy body. Perfect for the roadie who like to travel light.